A great antagonist is much more than just a “villain” to challenge your main character. There are many delicate components to creating a great antagonist. From casting to compelling storylines to inspired acting choices. However, it all starts in the script, and is fleshed out in the director’s script analysis. Michael Tucker’s video on creating the ultimate antagonist posted on Lessons from the Screenplay, analyzes one of the greatest villains in modern cinematic history – The Joker. Although the principles can be applied far beyond comic book films. From Iago to Othello, Holmes to Moriarty, Neo to Agent Smith, we’ll be looking at the universal ingredients that make up the ultimate nemesis. Now let’s look at the first component of a great antagonist. ✶ Spoiler Alert: There are a number of spoilers below from the The Dark Knight below. An antagonist must be powerful. Not just strong or formidable, but uniquely qualified to oppose this particular protagonist. It is only through a deep and specific understanding of the psyches of both your hero and villain that they can be perfectly matched in opposition. The harder the struggle, the more compelling the story. 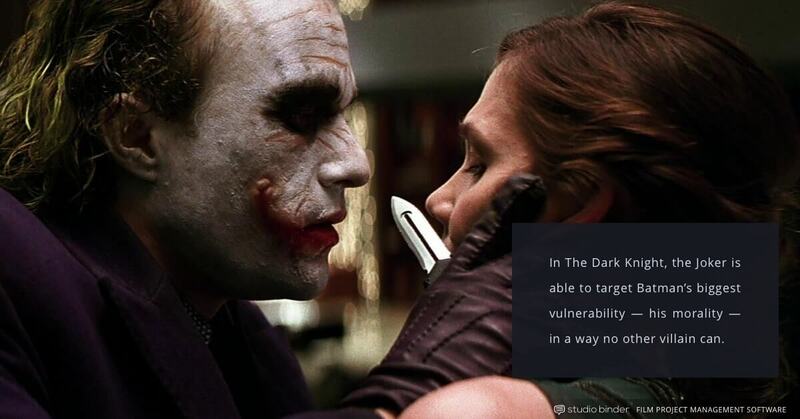 In The Dark Knight, the Joker is able to target Batman’s biggest vulnerability — his morality —in a way no other villain can. Batman refuses to kill. The Joker, who does not fear death, and in fact, wants Batman to kill him, creates situation after situation that throws Gotham into chaos. Logically, Batman should kill the Joker, despite his moral code. "A protagonist, and his story, can only be as intellectually fascinating and emotionally compelling as the forces of antagonism make them." In every story, the forces of antagonism increasingly apply pressure to the protagonist. This forces them to make choices that test their nature. This is literally the Joker’s objective. In the second act of The Dark Knight, Joker poses a terrorist ultimatum: for every day that Batman does not take off his mask and turn himself in, people will die. By refusing, Batman ups the ante, but must cope with the guilt as innocent lives are lost. The pressure increases as more people die, and the city turns against him. 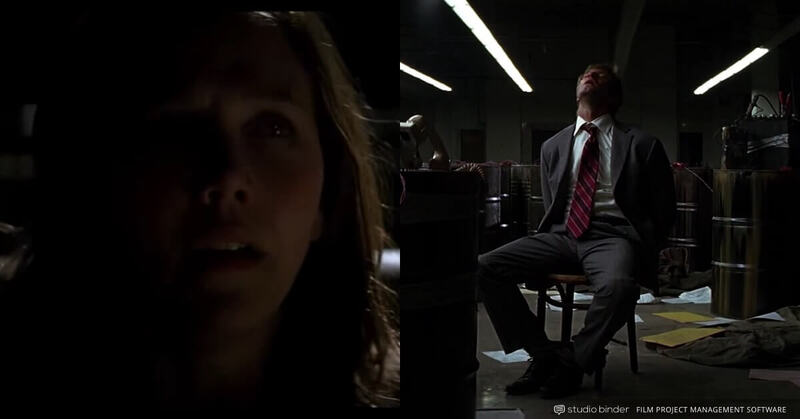 Eventually Joker creates a scenarios where Batman must choose to save the life of Harvey Dent, Gotham’s heroic “White Knight” district attorney, or the woman he loves, Rachel. "TRUE CHARACTER is revealed in the choices a human being makes under pressure — the greater the pressure, the deeper the revelation, the truer the choice to the character's essential nature." 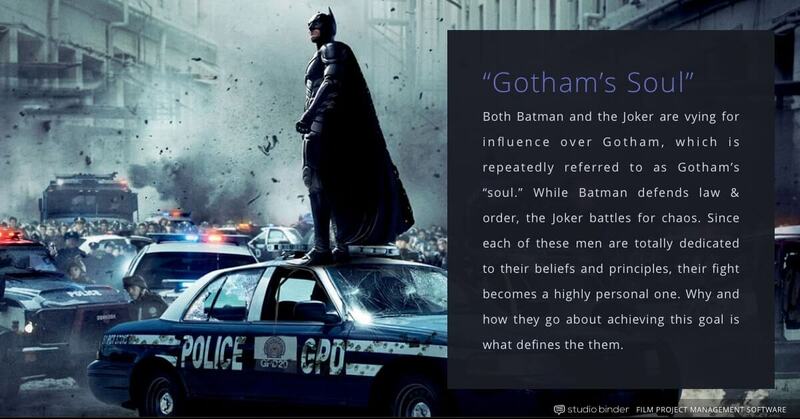 In The Dark Knight, both Batman and the Joker are vying for influence over Gotham, which is repeatedly referred to as Gotham’s “soul.” While Batman defends law & order, the Joker battles for chaos. Since each of these men are totally dedicated to their beliefs and principles, their fight becomes a highly personal one. Why and how they go about achieving this goal is what defines the them. 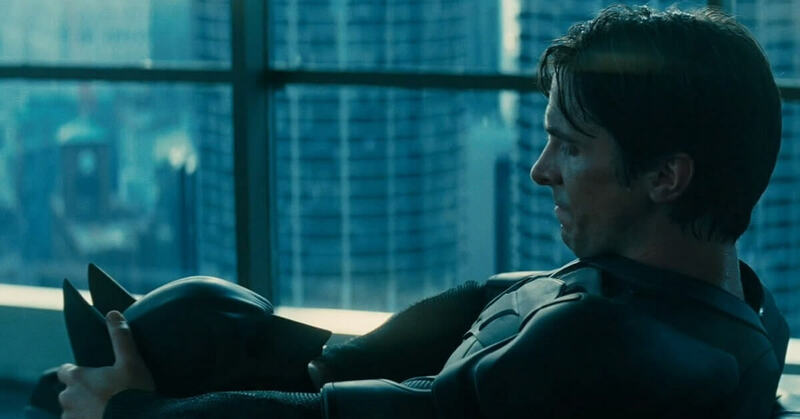 Throughout the film, Batman comes to understand the Joker, finally allowing him to discern the Joker’s plan as they both compete for the same goal (“Gotham’s soul”). It is the Joker’s understanding of Batman’s conflicted psyche (combined with his own twisted character traits) that makes him so uniquely suited to oppose Batman. "It is only by competing for the same goal that the hero and the opponent are forced to come into direct conflict, and to do so again and again throughout the story." In the beginning of the film, Batman believes that criminal bosses seek money and power and are driven by logic, order, and self-interest. As a result, they can be defeated with force and incentive. In the battle for “Gotham’s Soul,” he faces an opponent who operates outside these limits. As a result, he is forced to make progressively more difficult choices that puts his strengths to the test. By the end, Batman develops a deeper understanding of heroism and sacrifice. No longer infatuated with manufacturing Gotham’s “hero,” he grows wiser. He grows because of the Joker. 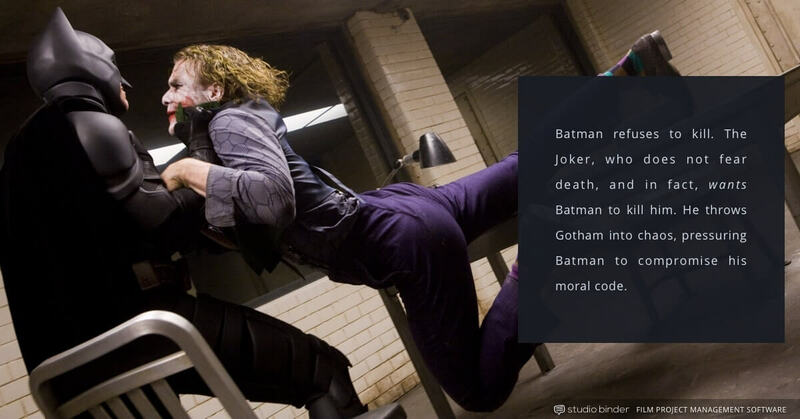 Along with the strong acting and directing, The Dark Knight demonstrates how important these common ingredients are in creating the ultimate antagonist. If you liked this article, and want some more ideas on character relationships, check out our essay “How These Oscar Winning Films Use Doors to Tell Stories” to see how something as simple as doors can impact personal dynamics in film. A freelance writer and producer, Mary has worked on a wide variety of independent and commercial projects, in addition to her ongoing work as a digital comedy writer. Currently, Mary works with several notable YouTube channels including Legend of Katie, Chocolate Ghost House, and Nani Nani Kids. She is also a co-founder of Infinititty Comedy, a female-centric sketch group dedicated to placing women in the film positions which offer creative control.